Sprudle is a new product from Balholm—100% natural juice, carbonated for a refreshing and sparkling mouthfeel. 100% apple juice with carbonation added. No water or sugar added. Sweet-sour apple taste with a refreshing mouthfeel. 100% apple and blackcurrant juice with carbonation added. No water or sugar added. Fresh sweet-sour black currant taste with a refreshing mouthfeel. Fruit juice made from fresh organic apples and cherries. The cherry variety Fanal is juicy and very aromatic, with a crisp acidity that makes it suitable for cocktails. 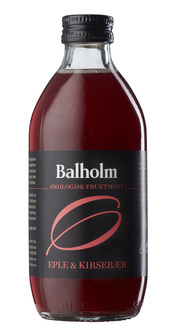 Balholm Organic Apple and Cherry Juice pairs well with light dishes like sandwiches, pasta, and fish. Fresh organic apple and blackcurrant juice. Black currant is the healthiest of the garden berries and has an acidity that makes it lovely together with food. Balholm Organic Apple and Blackcurrant Juice from is a good alternative to red wine. It pairs well with rich and solid dishes. Fruit juice made from fresh organic apples and blackcurrants. Blackcurrants are the healthiest of the garden berries and have a tantalizing acidity that pairs well with food. Balholm Organic Apple and Blackcurrant Juice is a good alternative to red wine. It pairs well with rich and hearty dishes. 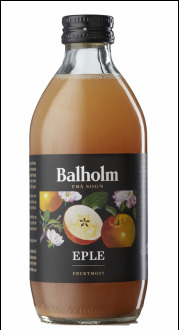 Fruit juice made from fresh organic apples and pears grown in lush orchards along the Sognefjord. Here there is evidence of fruit cultivation all the way back to the 1200s. 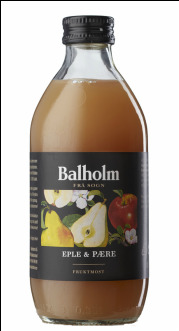 Balholm organic apple and pear juice has a mild sweet-sour taste that pairs well with spicy dishes. Fruit juice from fresh organic apples and wild blueberries. 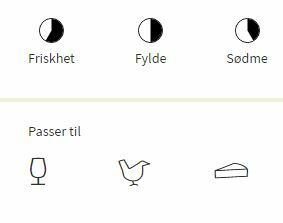 The blueberries are harvested in the forests surrounding the fruit-growing village Solvorn, overlooking Urnes Stave Church on the other side of the Sognefjord. 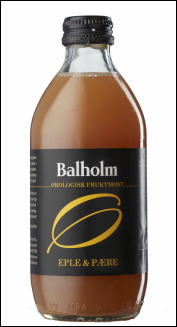 Balholm organic apple and blueberry juice has a mild sweet-sour taste and pairs well with cheese. Taste: Pure, fruity, and immediate. Refreshing aftertaste. 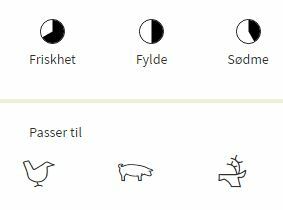 Smell: Hint of ripe apples and blueberries, touch of herbs and canned fruit. This is a fruit juice made from fresh, hand-picked apples and the local raspberry variety Veten, which has grown along the Sognefjord for 70 years. Veten is an aromatic raspberry with a deep red color. 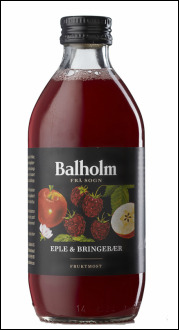 Balholm Apple and Raspberry Juice tastes of summer and grandmother’s kitchen! Healthy and pairs well with light dishes. 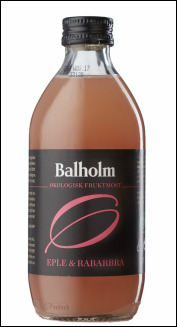 Fruit juice made from fresh organic apples grown in lush orchards along the Sognefjord. Here there is evidence of fruit cultivation all the way back to the 1200s. 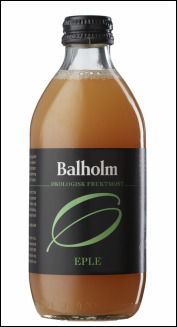 Balholm organic apple juice has a fresh sweet–sour taste and suits most dishes.